"The Lucy Show" ran for six successful seasons and co-starred Gale Gordon as "Mr. Mooney." Each DVD contains two episodes. 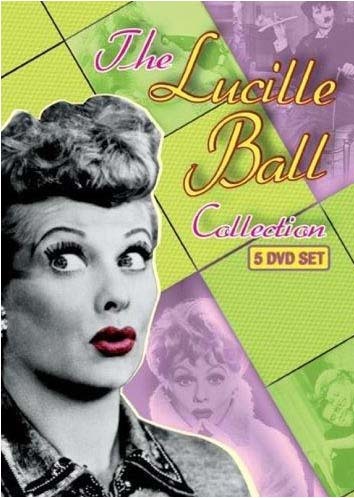 DVD 1 - "Lucy Meets John Wayne" and "Lucy Meets George Burns"
DVD 2 - "Lucy Flies To London" and "Lucy Meets The Berles"
DVD 3 - "Lucy and Jack Benny's Bank Account" and "Little Old Lucy"
DVD 4 - "Lucy Gets Trapped" and "Lucy The Babysitter"
DVD 5 - "Hollywood Couples: Desi Arnez & Lucille Ball"